Hi all. 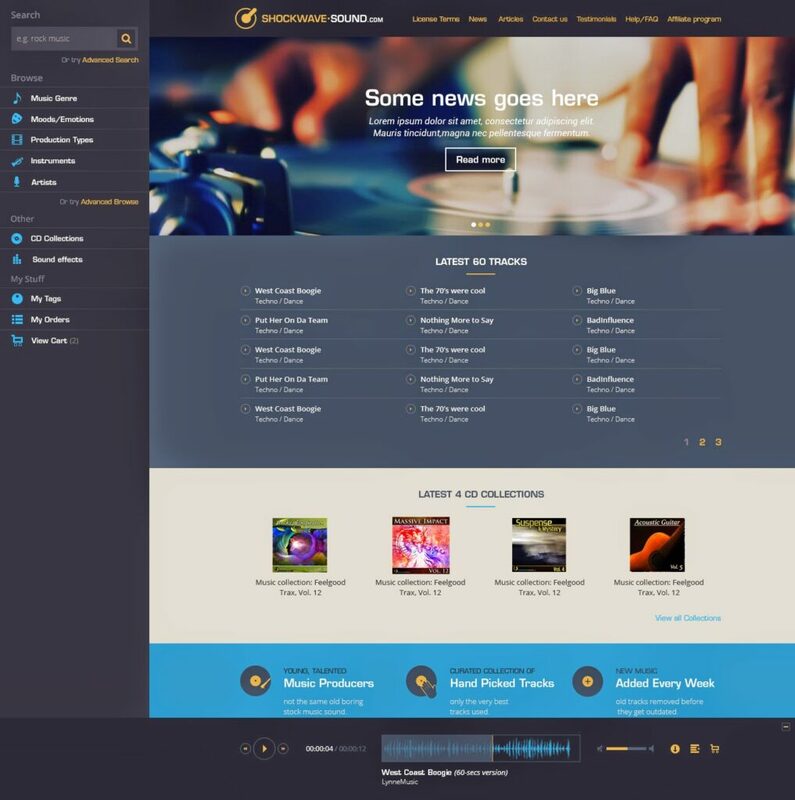 We are pretty excited to say that we are working on a new front-end design / layout for Shockwave-Sound.com and here is a sneak peek of what our new site will look like. Our existing users / customers will be pleased to see all the music searching and browsing tools that you’ve got used to over the years — they are just being moved from the right-hand to the left-hand side of the page. Also still in place is a list of our latest track additions in the middle of the front page, and underneath, images of our latest 4 CD-collections. The new Shockwave-Sound.com design is primarily just a matter of visual presentation. All the old functionality is still there, and will work in pretty much the same way. It will just look a bit fresher and more up to date. This is a work in progress and we hope to launch the new look in the next 3-4 months. It’s hard to say exactly how long it will take, because we’re doing the work while still maintaining our daily work schedules, customer support, music library development, music recording projects etc.